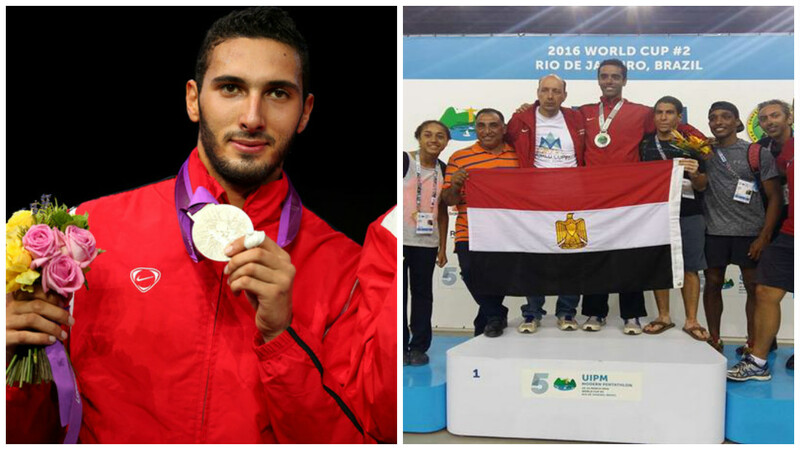 Egyptian athletes Alaaeldin Abouelkassem and Omar Elgeziry won silver medals at the Fencing Grand Prix in Havana, Cuba and the Modern Pentathlon World Cup in Rio de Janeiro, Brazil, respectively. Abouelkassem proceeded to the final round of the Fencing Grand Prix after defeating China’s Sheng Lii, but lost to Britain’s Richard Kruse, who won first place in the competition. The Egyptian fencer’s performance on Monday marks his first major medal since he competed at the London Olympic Games in 2012, where he also secured a silver medal. Abouelkassem is set to compete at the Rio de Janeiro Summer Olympics later this year. Meanwhile, Elgeziry also came in second at the Modern Pentathlon World Cup #2, after securing a total of 1471 points at the event, which ran from March 10 to March 14. Modern pentathlons include five different events: Fencing, shooting, swimming, riding and cross-country running. Elgeziry’s younger brother, Amro, had secured the gold medal at the Modern Pentathlon World Cup #1, which was held in Egypt last month. The two brothers will compete in two further tournaments to improve their rankings, as they are both vying for spots to represent Egypt at the Rio Olympics.